The Xbox 360 and the Playstation 3 have been on the market now for quite some time; in fact, they have both had a lifespan of more than seven years. This generation of consoles has been around longer than any previous generation. 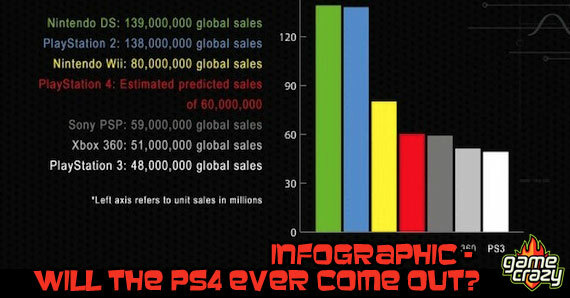 Well, as explained in this infographic by Ladbrokes Games, the PS4 is rumoured to have production costs of $1000, yet a retail selling price of more than $600 less that that. With this amount of loss built into the console selling strategy, Sony is taking a huge amount of risk by releasing a new console. By releasing the Playstation 4 and Xbox 720, Sony and Microsoft are taking a lot of risks. Although some improvements may help bolster sales, other aspects of the newer consoles may drive some gamers away. Even though big developers like EA are begging for newer consoles, that business model is yet to be figured out. Do you think they will come out, and if so, when? 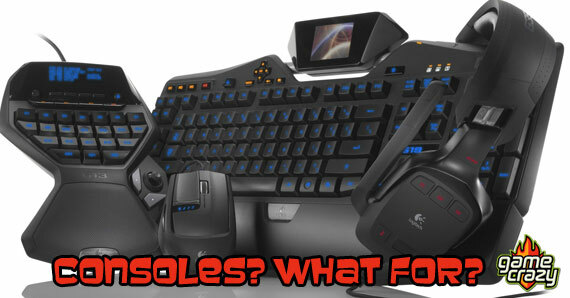 and Maybe the PS4 – on February 20 Do Gaming Consoles Have a Future? Are Backwards Compatible Consoles a Thing of the Past? Nielsen Study Reveals the True Identities of the Xbox 360 and PS3 Xbox One Launching November 22nd! This entry was posted in The GC Blog and tagged infographic, Microsoft, playstation 3, playstation 4, Sony, xbox 360, xbox 720 by summerm. Bookmark the permalink.